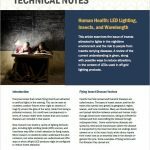 This article examines the issue of insects attracted to lights in the nighttime environment and the risk to people from insects carrying diseases. 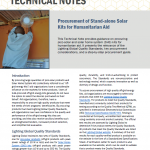 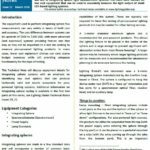 A review of the current understanding is given, along with possible ways to reduce attraction, in the context of LEDs used in off-grid lighting products. 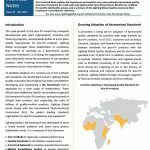 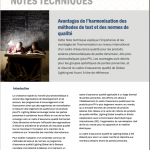 Cette Note technique explique l’importance et les avantages de l’harmonisation au niveau international d’un cadre d’assurance qualité pour les produits solaires photovoltaïques de petite dimension, dits pico-photovoltaïques (pico-PV). 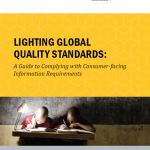 Les avantages sont décrits pour les groupes spécifiques de parties prenantes, et le résumé du cadre d’assurance qualité de Global Lighting est fourni à titre de référence. This Technical Note discusses USB charge port specifications and how they apply to renewable energy products. 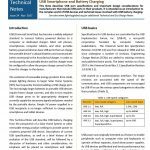 It is intended as an introduction and resource for manufacturers and other industry stakeholders on the history and application of complex USB technical standards as they pertain to mobile device battery charging. 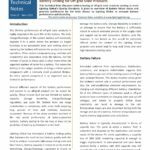 This Technical Note is Part III in a three-part series examining the proper maintenance and use of integrating sphere light measurement systems. This third Note focuses on low-cost equipment that can be used to accurately measure the light output of small LED-based lighting systems.